It would be pleasant to think that using the Bible during the US Presidential Oath of Office actually means something to who place their hand on it and swear to "faithfully execute the Office of President of the United States… so help me God." But Obama, who had to repeat his swearing in ceremony after the word "faithfully" was garbled by Chief Justice John Roberts during the inauguration, did so the following day in the Map Room of the White House before a press pool and a small group of aides, and this time, the Oath was administered without the use of a Bible, insinuating to some that the Good Book was only public "eye-candy" in the first instance and also that the Oath of Barack Hussein Obama was biblically invalid. ...."And to the angel of the church in Pergamos write; These things saith he which hath the sharp sword with two edges; I know thy works, and where thou dwellest, even where Satan’s seat is: and thou holdest fast my name, and has not denied my faith, even in those days wherein Antipas was my faithful martyr, who was slain among you, where Satan dwelleth" (Rev. 2:12-13). Does this Islamic prophecy identify Obama as the "promised warrior" who comes to help the savior of Shiite Muslims conquer the world? Amir Taheri asked this very question for Forbes Magazine in October, 2008, pointing out how "Obama’s first and second names—Barack Hussein—mean ‘the blessing of Hussein’ in Arabic and Persian" while his "family name, Obama, written in the Persian alphabet, reads O Ba Ma, which means ‘he is with us,’ the magic formula in Majlisi’s tradition. 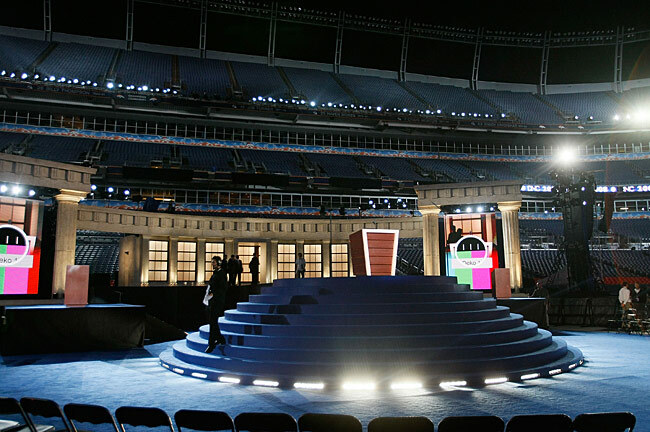 The temple stage set at Invesco Field was obviously a replication of the Pergamon Altar in the quite wonderful Pergamon Museum in Berlin, put together by Middle East history academicians in the early 20th century. 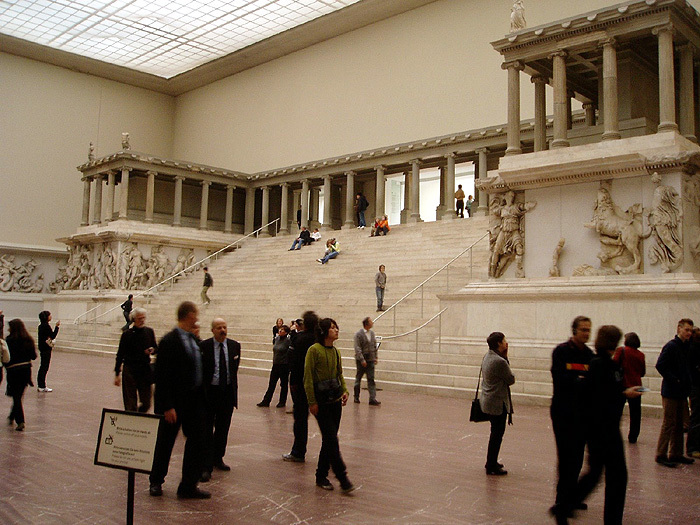 Did Barack Obama have time in his visit to Berlin (when he didn't have time to fly to see the wounded American soldiers in Ramstein) to visit the Pergamon Museum? Just asking.